I have been tasked with organising a LFA Qualifying procedure that needs to be completed urgently. The cup is open to teams with players aged u16; u14; u12; and under 10. Male & female sections. An under 9 player (school year 4) can play in the under 10 competition (school year 5) an under eight player (school year 3) cannot play even though he may be playing elsewhere in an u9 team. Same principle applies to other age groups. 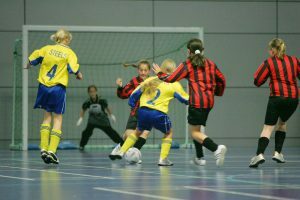 Academy players cannot play in competition. Once number entrants are known final competition details can be released. The competition will be affiliated to the Lincolnshire County FA. All teams must be affiliated to LFA. Full competition Laws & Rules will be submitted to LFA within next 72 hours. My apologies this is being rushed. u16s Clee nb x 3; GTFC; Borough Pumas cs? This entry was posted in Local on February 1, 2019 by Kevin Bryant.